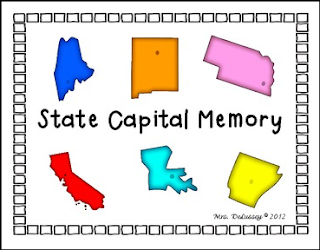 -Print 2 sets of the download... (1) match state clip art to state clip art, (2) state name to state name, or (3) state capital to state capital. Best if printed in color on cardstock and then laminated for longevity! 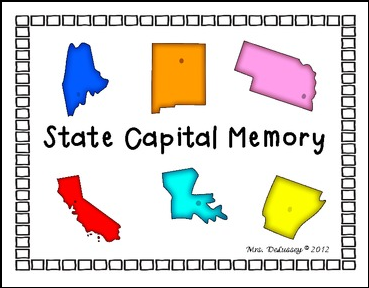 Great for students to use during free time or to use while studying the US states and capitals. THIS DOWNLOAD IS INCLUDED IN THE US States and Capitals Unit ! *Don't forget to *FOLLOW ME* to stay current on new lessons and materials!